Welcome to Anneau du Rhin in Biltzehim / Alsace 52km from Rust. 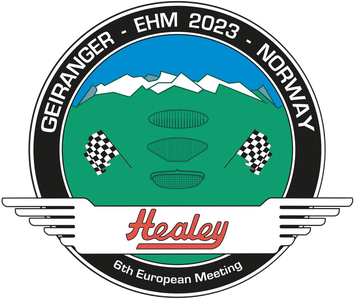 This is an unique opportunity to drive on the circuit yourself with your road Healey! The lenght of the track is 3700 meters and it is regularly used for club racing, testing and speed events. It is a modern track built in 1996 by Caroline Bugatti, the granddaughter of Ettore Bugatti, and the Bruno Sprengler family. Its layout is inspired by the famous Paul Ricard F1 circuit. The track will be open from 9.00 am to 5.00 pm. Drivers will be divided into groups of 15 20 cars with a maximum two persons per car and three runs during the day. Access to the race track with FIA helmet only, which will be provided at the circuit. The entry feee is Euro 50 per car and lunch ticket Euro 29 per person, which you have to order in advance with your registration. Lunch on the race circuit is between 11.30 am - 1.30 pm. For reasons of safety all driving must of course be done with every ones common sense and following the instructions from the officials!